I have been using this product for about 8 months and I am absolutely in love with this! I first heard about it from Mykie on youtube (glam&gore). At first, I was a little apprehensive about using a cleansing WATER, but i was so sick of using expensive cleansers that weren't working for me. After my fist week i really fell in love. I love this product for what it does for my skin. It really takes off ALL my makeup while deep cleaning my pores and makes me less oily throughout the day. The convenience is also a plus. If my skin feels dirty but I don't want to get in the sink to wash it, I've got my cleansing water to do so with no mess. If you're trying this product I suggest using it for quite sometime so that your skin is able to adapt. I always try something for at least 6-8 weeks to determine whether my skin can handle it. FYI do not use this on your eyes because it will burn! I always hear the Sensibio wont burn your eyes but this one definitely burned mine. BTW my boyfriend uses this too and likes it a lot. He has bad congestion on his nose and this really cleared it up for him. Sorry for such a long review but I hope this helps someone! After hearing so much about Bioderma I decided to finally give it a try. But because I have oily skin I opted for this one over the original. It did not disappoint! I started out only using it on nights when I felt too lazy to do the whole routine of removing my makeup, just because it was quicker and easier. But then it became my favorite makeup remover. AND, after a couple weeks of using it I completely quit having breakouts! That's always a plus for me!! I love this stuff and will continue to use it as long as I am able to purchase it. This stuff is really useful, much more so than I thought when I ordered it. I have oily/ combo skin that's really moody, and this seemed to have helped it calm down a bit. I use the Sebium H2O formula a few different ways: my favorite is to use it at night, after my double cleanse. In thus way, it acts as a sort of toner, clearing out any little bits of makeup that my clarisonic and I may have missed, and purifying the clean skin/ remaining sebum on the skin. It helps to tighten up my pores when used this way and (don't ask me how, but) it seems to have also aided the absorption of my retinol toner (which I use right after the Sebium). On nights when I'm just tired and feel like cutting my cleanse regimen a little short, this stuff cuts through my makeup without issue or irritation (although to remove waterproof foundations, you'll wanna go over the skin a couple times). It's also handy for those days when I'm testing new foundations, or just being indecisive about which in my collection to wear. Makes cleaning up/ starting fresh a real breeze. After a couple weeks of use, my skin is breaking out less (although this could be aided by other new products I've been trying), blackheads have seriously decreased and pores are nice and tight. Highly recommended! I have been suffering from cystic acne for a year and pores that are so quick to congest so if am not having a cystic pimple or two, am constantly plagued with little bumps all over my face. I have tried drugstore and high end stuff to clear my skin so yes I am one of those that was frustrated and even slightly depressed from being a pimply-faced adult. This product was the total game-changer. Give it a week ir two for results to truly show. I had t wait a few weeks to make sure that it wasn't just temporary results. I use this as a toner for for my morning and day routine and it has incredibly smoothened my skin. The little annoying bumps are gone and no longer do I get those stubborn whopper-sized zits. I will still get a pimple or two but it never gets too ugly and angry-looking. This will change your life, ladies (and gents). 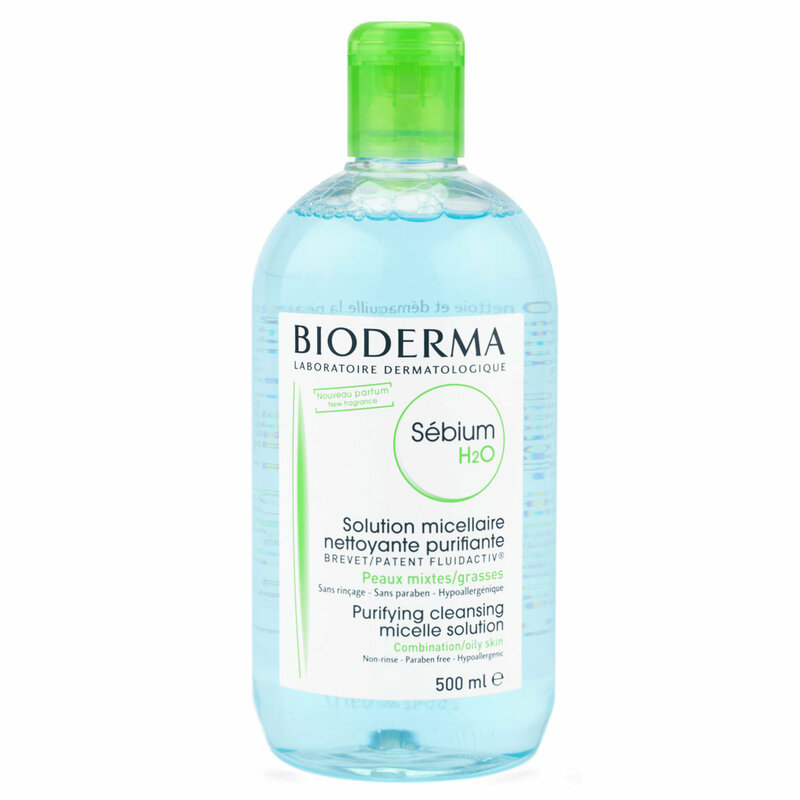 I always have a backup and don't know what I will do without my bioderma products. Now go and hoard some! 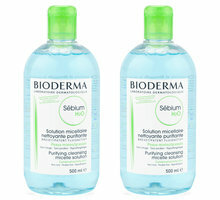 I have both of the bioderma micellar waters. They both work lovely but I do like this one a bit more because I have very oily skin and it takes my makeup off without making me look extra oily. It's one of my go to makeup removers. It's water base unlike other make up removers on the market that's oily, or full of chemical that stripes away your natural skin oils. So easy to use, best of all, no need to wash your face afterwards. Normally I stock up when I'm in Paris, thanks to beautylish, I can get this awesome product back home. Love it! If you're a freelance MUA or you travel a lot and want a water-free way to remove makeup and cleanse skin this is fabulous! The travel size is the perfect size for plane travel and the formula works really well. I find it removes everything from regular to waterproof makeup. The only thing I find it sometimes doesn't remove is really strong eyelash glue. That being said, I find only oil-based eye remover works in those instances anyway. Overall, great whether you're a pro or not in my opinion! Green cap bottles are the best for oily skin. 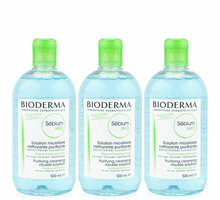 I love Bioderma sebum H2O water, and I didn't think I could love it more until I tried the green cap bottles. I will only use these from now on. You have to try their oil control cream that also comes in green color tubes, it is the BEST oil control product I have ever used. I'm a fan of Sebium H2O Bioderma for many years but with a good price like this was my first time. Love it and I shared with my friends to get this offer already.